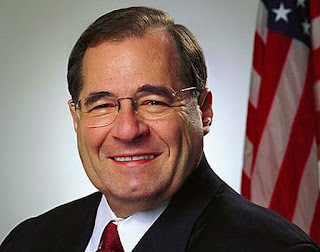 Jerrold Nadler Speaks -- Several weeks ago, the White House released the president’s budget, a document outlining the administration’s spending priorities for our nation. As many of us expected, it was absurd; full of disastrous cuts that will harm everyday Americans. But I cannot say that I am surprised, the budget simply reflected the policies and priorities the Administration has been advocating for since Day 1. As an example of what I believe are some of the president's proposed draconian cuts, the budget eliminates Community Development Block Grants (CDBG), which help families stay in safe, affordable housing and supports programs such as Meals on Wheels, which provides food to the sick and elderly. The budget also cuts funding for the Environmental Protection Agency (EPA), which works to ensure we have clean air to breathe and water to drink. Furthermore, the budget ramps-up military spending in a show of force that doesn't make our country any safer and may well provoke friend and foe alike. It makes devastatingly unrealistic cuts to the State Department — including removing the Special Envoy position dedicated to monitoring antisemitism around the globe — which would cripple our diplomatic efforts to prevent and solve conflicts peacefully. Congress should oppose this absurd budget, which doesn’t even achieve the House Majority's long-stated goal of deficit reduction, but does threaten the lives of every single American.